Sahib and the Crew Save the World: Leave the Boy Scouts Alone: Start the Rainbow Scouts! 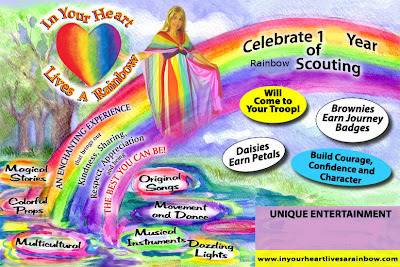 Leave the Boy Scouts Alone: Start the Rainbow Scouts! Victim class activists have their unmentionables in a knot again over membership restrictions of a private organization. First Vanderbilt Catholic was forced to drop Vanderbilt from their name after refusing to change their policy that only people who are CATHOLIC can run for leadership positions in their CATHOLIC student organization at Vanderbilt University. Next we had our yearly "force Augusta National to allow women members" campaign at the Masters. I loved it ten years ago when the Masters said: "Fine! Don't worry about boycotting our commercial sponsors. We'll just go commercial free." This week another favorite whipping boy of the left is back in the spotlight. It's an oldie but a goodie... the nefarious Boy Scouts. The liberals in general and the GLBT wonks specifically are protesting, petitioning, weeping, and wailing over the ouster of a lesbian scout leader, Jennifer Tyrell, in Ohio. Guess what? There is nothing wrong with their protesting, petitioning, weeping, and wailing. It is their right as Americans. As it is also the right of the Boys Scouts, as a private organization, to determine membership requirements as they see fit. I feel bad for Ms. Tyrell and her son. I really do. However; she knew the membership restrictions when she signed up. I fault the local scout leadership for telling her that it was OK. News reports on the story state that "many" of the local troop members support her. That's great. 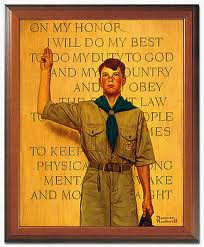 It is highly unlikely that the Boy Scouts are going to change their stance on this issue. The Supreme Court has ruled in their favor on this issue. So I have a suggestion for Ms. Tyrell and all her supporters. Know what you can do? It is your right. No one can stop you. You can start your OWN organization. Call it the...... RAINBOW SCOUTS! Set you own membership requirements. Create your own programs and agendas. No one is stopping you. Just like you cannot force a different organization to adhere to your beliefs, no one can force your organization to adhere to their's. It's the beauty of America. The freedom to gather together with like-minded people and not have others' beliefs and morals forced upon you. To get you started, I found a sample ad for your new group. 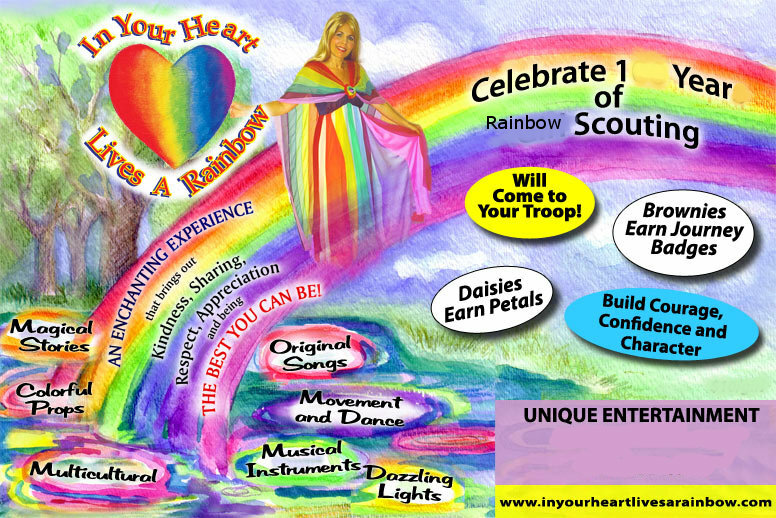 Maybe you can even use "In Your Heart Lives a Rainbow" as your motto. It's your CHOICE. So glad you're tackling this one. I have been following this issue for a while now. All I have to say is SUPPORT YOUR LOCAL BOY SCOUTS TROOPS. Buy their popcorn or whatever they're selling and let them know that you're backing them.